It’s rare when a game series can span six entries and not hit its peak until the last game is released. Even more astounding is the Professor Layton series, where just about every game in the series can been seen as a highlight. Seriously. They’re all that good. 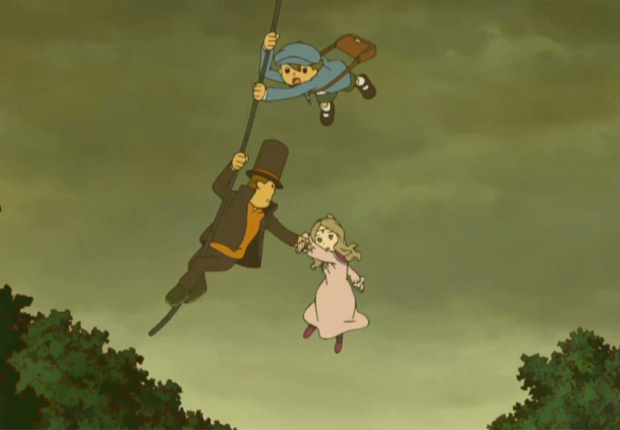 Whether it’s the sublime storytelling and time traveling of Unwound Future, the first foray into 3D with Miracle Mask, or perhaps the very first adventure in the Curious Village, there are plenty of Layton games to choose from and have a truly excellent time playing. With the release of Professor Layton and the Azran Legacy on the 3DS we are tearfully bidding farewell to our favorite English professor, as this is the last game to star the brilliant archaeologist. But in so doing we are met with perhaps the grandest and most robust game in the entire series. If you’ve played the previous two Layton games (or happened to watch the excellent animated feature), then you should already know that the series has been building up to something big. While each of the previous games has concluded in a satisfying way there was always a lingering mystery that comes to the forefront in Azran Legacy. Hot off their unraveling of the Nautilus Chamber in Monte d’Or, Professor Layton, his apprentice #1 Luke Triton, and assistant Emmy Altava find themselves in Froenberg where a “mummy” has been discovered within a thick sheet of ice. Enlisting the help of the Professor and crew is fellow archaeologist Professor Sycamore, who teams up with Layton to uncover the true answers behind the Azran people. For the first time in the series the adventure isn’t held within just one area, but rather six distinct locations throughout the world. In place of exploring one town from top to bottom, you’ll fly to deserts, jungles, seaside towns, and more bright locales in search of clues. As far as stories go in the series, Azran Legacy is at the top. The story is epic and full of action that only an English speaking gentleman is capable of (like jumping off roofs with ancient dinosaur bones capable). If you enjoyed any previous story from a Layton game, then you’ll absolutely love what this game has to offer: it’s classic Layton, with a healthy amount of intrigue, deception, and people willing to part with dire secrets in exchange for solving a puzzle. On the topic of puzzles, the Professor Layton series has never been hurting for brilliantly crafted brain teasers, so when I started playing this latest game I had high expectations for the puzzles. Thankfully I was not disappointed. There are a multitude of great puzzles scattered throughout the game, including many where I was legitimately stumped on how to solve. As with past entries in the series, some answers will just come to you while others do not stick out at all. Helping out immensely are the Hint Coins, which can be expended to give clues to reveal the answer. 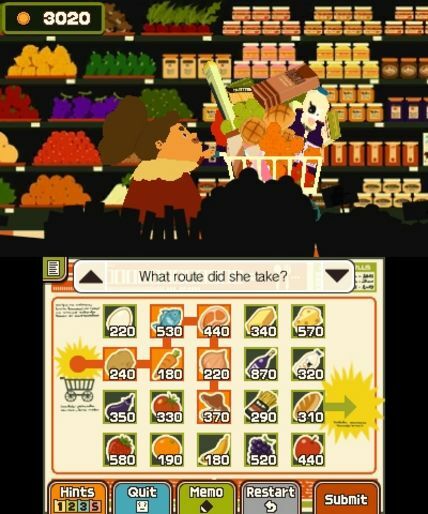 Missing from the last game on the 3DS are the 3D puzzles, which took advantage of the stereoscopic 3D the system was capable of. They aren’t missed at all however, because the background images in each puzzle move dynamically with your actions to solve the puzzle, giving the game another layer of charm. If the main story wasn’t enough to entice you already (which clocks in around 17 hours), then the handful of mini-games and puzzles should round out the package for you. Dress Up lets you find characters in the game in need of a fashion change and give them a new outfit to fit their tastes (like being cute, or dressy). In Nutty Roller you aid a squirrel guiding his prize nuts to a designated goal. But the game I found the most enthralling was Bloom Burst. Each of these puzzles has you laying down flowers that bloom in a specific pattern in such a way that blooming one of them would cause a chain reaction and the entire garden would burst forth. These games offer a few extra hours of entertainment and a very different approach to gameplay based on the rest of the game. Hidden in the world are everyday objects that can be discovered and shared with other players as sort of scavenger hunts via StreetPass. After you find some of these select objects you can put together any three that you’ve previously found to create a puzzle for someone else to find. By completing these special puzzles you unlock reward coins which can be used to purchase bonus objects that really don’t have any bearing on the game, just extra content. I was honestly surprised that they even managed to pull of StreetPass in a game like this, so bravo to them. That being said, Azran Legacy‘s StreetPass isn’t all that necessary, rewarding, or, frankly, fun. By now you’ve probably realized that Azran Legacy is remarkably similar in gameplay to pretty much every other Layton game. That is certainly a good thing given the caliber of quality the Professor is known for. On the same token are the visuals. With this the sixth game in the series it’s still impressive how unique and entertaining the art style is. Characters standout from one another with bright colors, definitive personalities, and abstract visualization. This game in particular takes the visuals to the next level with fine attention to detail across several drastically different locations. I found myself just watching the background of each world for a few seconds, marveling in the awesomeness of its presentation. Aiding in the immersion of the whole experience are excellent voice acting and sound. Naturally, the characters reprise their roles from the last game. Whenever there was an animated or voice cut scene I made sure to turn up my volume and get the full greatness of everyone’s English accents. Also of note is the game’s soundtrack, which once again infects your ears with melodies and tunes at every corner. In particular, I really enjoyed the ending instrumental theme. You should have a listen, no spoilers! The 3DS is not a powerhouse in terms of visuals (at least when compared to the home consoles), but the Layton series with Azran Legacy included show just how wonderful a game can be with detailed visuals, great sound direction, and entertaining stories. The short version of this review is this: It’s a Professor Layton game. Largely, Azran Legacy doesn’t do too much new that would inspire a player who didn’t particularly care for the finely crafted puzzle solving and heavily story driven game in the past to come back and enjoy this one. A fan of the series however will notice the small additions that make the game the best in several entries, like the ability to travel to multiple locations, the epic storyline, and the responsive backgrounds for puzzles. Brain teasers and stories aside, this is a truly awesome game for the 3DS! 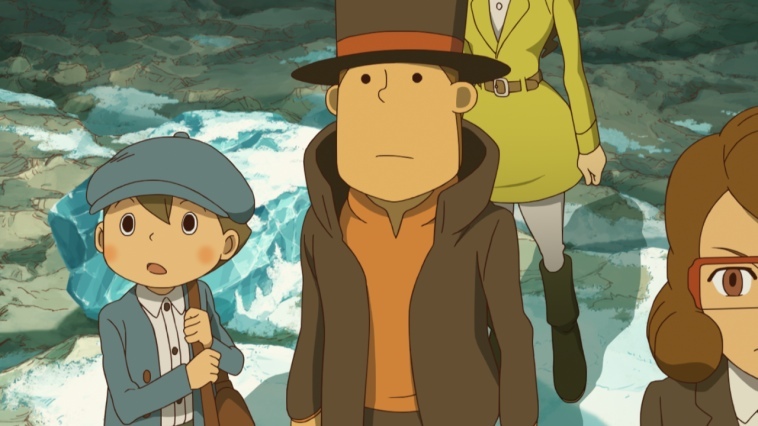 Level 5, the developers behind the game, have stated that this will be the last game to feature the character Professor Hershel Layton as the main protagonist. Initially I was filled with immense sadness at the thought of losing this gentlemanly hero for future games, but looking back, he has starred in six excellent games, comprising two remarkable trilogies. I think that’s great tenure for a professor, wouldn’t you say? And besides, looking ahead, there’s still plenty of puzzle solving in our futures. The crossover title Professor Layton vs. Phoenix Wright: Ace Attorney will be releasing later this year. If you recall the ending to Professor Layton and the Unwound Future there’s even a chance that Luke Triton could star in his own series of adventures! And without spoiling anything, there’s even a chance for a spinoff or two from this game as well! 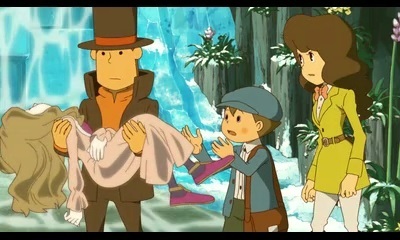 The future is bright for the Professor Layton series. As I say goodbye to my favorite gaming professor I look to the past at all the magnificent journeys we’ve been on, and am excited for what the future may hold! Hmm… Seems as if I’ll have to play that one game I have, and then begin acquiring the rest. Thanks for a detailed and comprehensive article! It’s top notch!